Welcome to Villa Dorada. We have an optimized screen reader version of this site available. Welcome home to Villa Dorada, perfectly situated in the heart of Calexico, California! You'll be proud to call Villa Dorada your home. Our residents appreciate being in close proximity to a wide selection of shops, restaurants, and entertainment destinations. Come home to Villa Dorada today. Stylish residences offering all the comforts of home await you at Villa Dorada. Our spacious floor plans are designed with your comfort and convenience in mind, offering amenities that are second to none! Choose from our selection of distinctive one, two and three bedroom floor plans that come well-appointed with your very own all electric kitchen, plush carpeting, covered parking, dishwasher, mini blinds, some paid utilities and much more! We've included everything you'd expect in an apartment home and more. 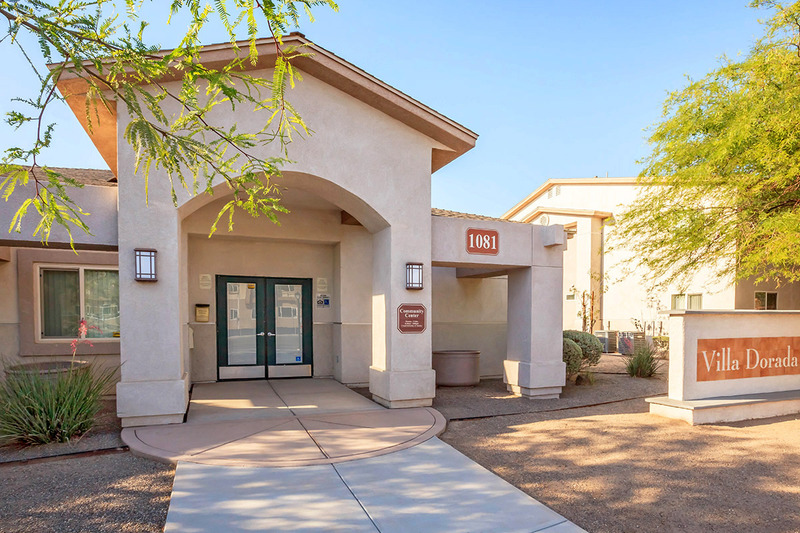 Take advantage of all the community amenities and services we offer here. Amenities include a business center, copy and fax services, high speed internet, a picnic area with barbecue and beautiful landscaping. Visit today and discover a new way of life!